Get inspired and view our range of natural stone wall cladding. You can create stylish feature walls that will add depth and contrast to any internal or external project. Helping those areas that would benefit from both a traditional or contemporary alteration. Higgins Wall Decor Store caters for individual tastes and creative minds. 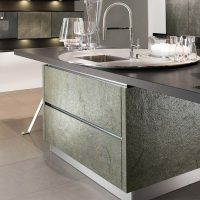 These products are made from natural stone and are an exciting and individual design choice. A truly modern and innovative way to bring a natural stone feature wall into your home or business. With fast fit and easy installation guidelines reducing project costs, our products are certainly a cost-effective and time-saving option for cladding your spaces. These natural stone wall cladding products will assist in the creation of captivating designs owing to the individual character of their colour, pattern and form. If used to renovate the outside of a property, for a new build or internally for a feature wall, your project is sure to impress. A Higgins Wall Decor Store choice will give you that architectural designed look you’ve been after.